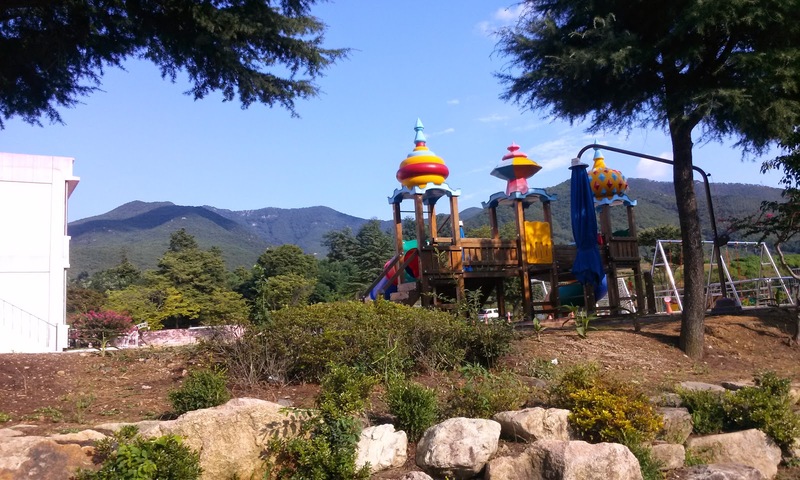 Sarah Goes To Korea: My new school life. 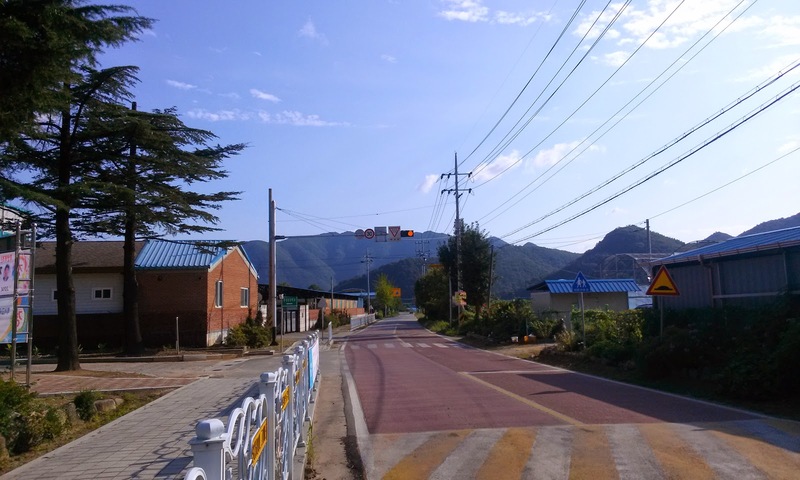 It's officially been a month since I switched to my new schools, so I guess it's about time I explain what my school life is like here in Korea now. 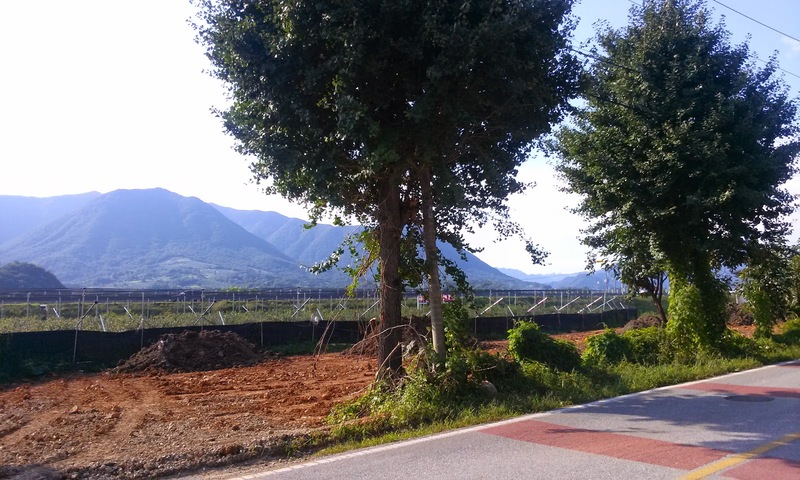 As most of you know, last year I worked at a high school here in Jeomchon. 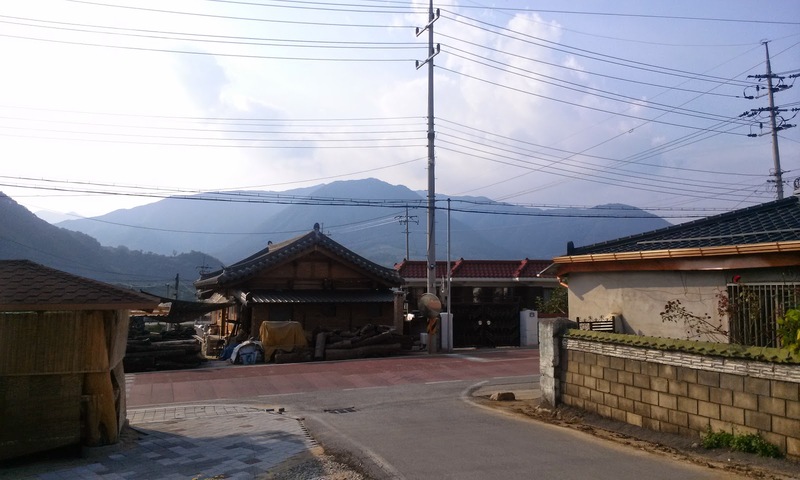 Since the government cut all of the high school and the vast majority of the middle school positions last March, if I wanted to stay in Korea I had to move to an elementary position. Although I would have loved to have stayed at the high school I worked at last year, sometimes these things just aren't in our control. I now work at three different schools. Working at more than one school is pretty common for EPIK teachers, especially in the more rural areas. Although last year I was only a ten minute walk away from my school, this year I have to take the bus or get a ride to my schools because they are rural schools. Monday, Wednesday, and Friday I am at what I call my main school. This is an elementary school where I teach grades 1-6. I see first and second grade once a week, and I see fourth and fifth grade once a week for regular class. Finally, I see fifth and sixth grade twice a week for normal classes. The view from the 5th grade classroom. Gorgeous. That pile of logs is where I wait for the bus. Not a bad bus stop view. My school is small, but has a huge gym! 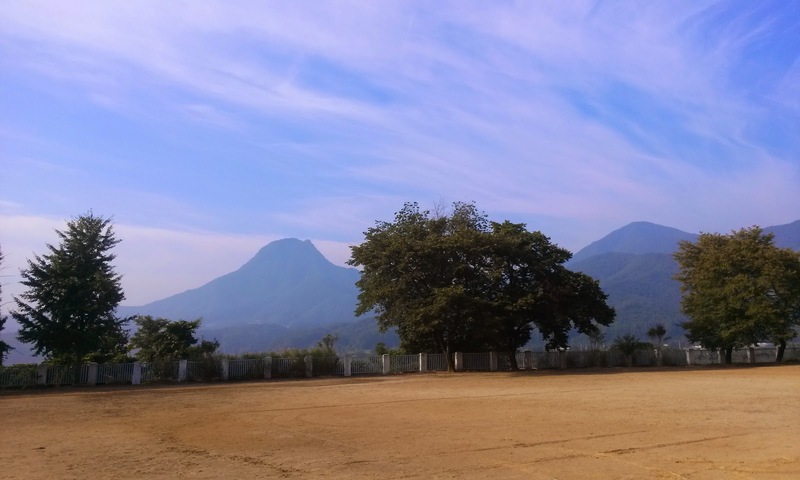 Playground at my main school. This is what's around my main school....not much. I also teach something called "after school classes". The after school classes are any of the classes that are held after lunch. These are supplementary classes where I don't have to teach the textbook, although I have been choosing to continue to work on material based off the textbook, especially in reading and writing because I can see that is where the students are behind. Technically my first and second grade classes are after school because there's no national curriculum for first and second grade. I've been working on really basic things with them like letters, phonics, colors, numbers, etc. I also see grades 3-6 once a week for after school classes. That means in total I see grades 4-5 two times a week and grades 5-6 three times a week. The class sizes at this school are pretty small with about ten kids in first and second grade, six kids in third grade, around ten kids in 4th and 5th, and seventeen kids in 6th grade. Tuesdays I change gears completely because I am at a middle school. While the native english teachers were cut in the majority of middle schools, country schools were able to keep their NETs due to the fact that they get less exposure to English than the kids in the cities do. 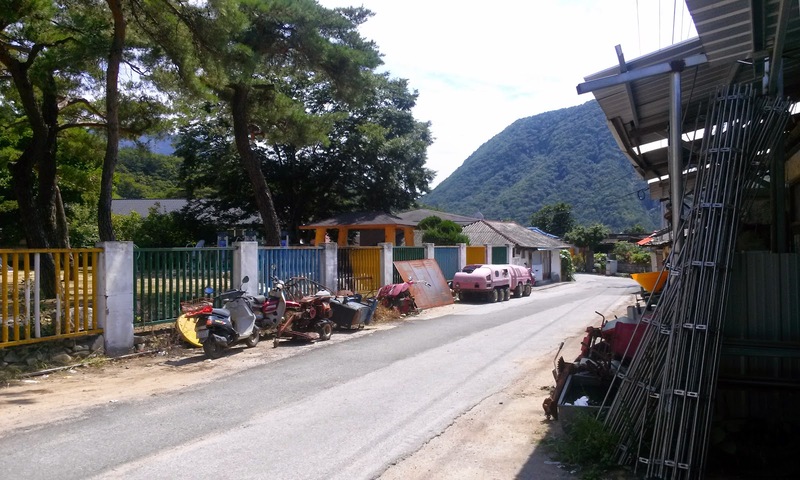 View in Dongro, the part of Mungyeong I travel to on Tuesdays. I got out of the car one Tuesday and this was the view from the school yard. So beautiful! 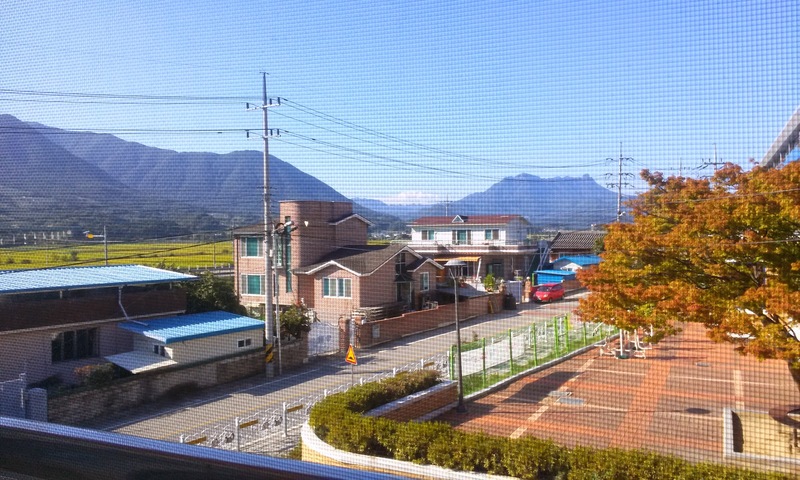 This school is pretty far away from Jeomchon--about a forty minute drive with my CT. I'm lucky to get a ride though, because if I took the bus it would be about an hour commute. In total, this school has 24 students. Yes, 24 students in the entire school! 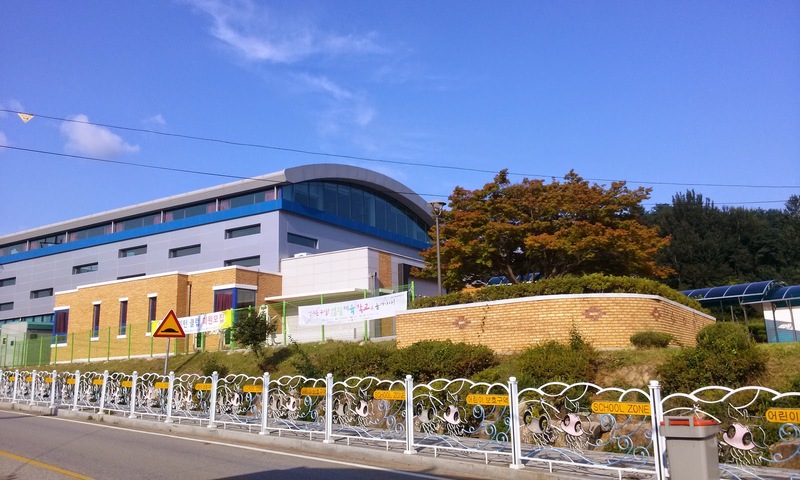 Middle school in Korea is three grades, equivalent to 7th-9th grade in America. My 1st and 3rd grade students actually have a pretty good level of English, but my 2nd grade class is by far the most difficult...I think their level may be on par with my fifth graders at the elementary school. It's strange, but sometimes you just get interesting groups of students. Overall I really like being at this school though because I can communicate more with the students and I can plan more interesting lessons. 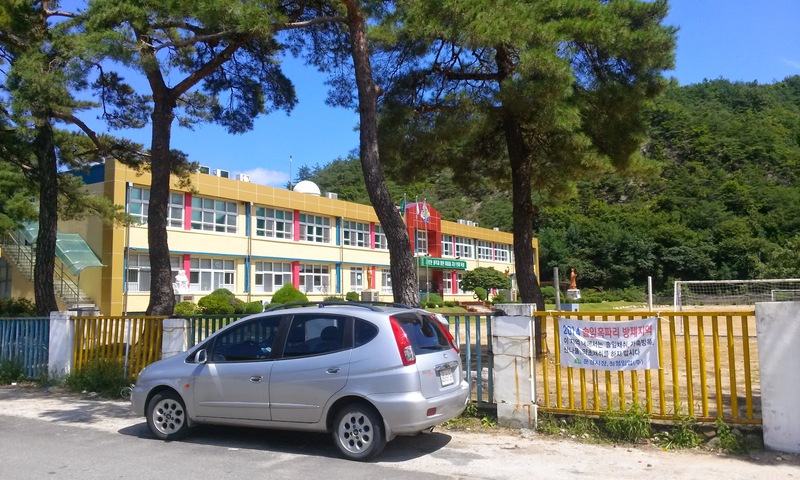 Thursdays I am at another elementary school that takes just over an hour to get to from Jeomchon. This school is about as rural as you can get. I teach grades 3-6 at this school and I only see a total of 15 kids in the entire day. My 3rd grade class has TWO students in it, fourth grade has THREE, and so on. I teach all my classes in the morning, so the principal actually lets me leave after lunch (which technically isn't supposed to happen), but the buses are so rare to that part of the countryside that otherwise I would have to wait for a really long time to get the next one. It's definitely been a perk to working at that school, especially since there's such a great travel time. My very small Thursday school. Overall my transition to elementary school has been ok. I don't hate it, but I also don't love it like I loved my high school last year. I think this is really due to two things. The first reason being that I have to teach the textbook. Every school in Korea is required to use certain textbooks, and as a teacher you have to cover the book from cover to cover. The books come with CDs which you use to go through the lesson. Of course I supplement the textbook and try to make it more exciting, but at the end of the day there's only so much you can do. It's especially tough for 6th grade because these pre-teens have that too cool for anything attitude, and the textbooks are way too childish for them. It's a struggle to get them to do anything, especially when they material you have to work with is childish. The second reason I'm not head-over-heals with my new job is because I can't communicate with my students like I could at the high school. While there were definitely communication barriers with my students last year, I could still talk to them about tons of things. I know I say it all the time, but I really adored these kids and came to really care for them. I loved hearing about their lives, their future plans, and their thoughts about what was going on in the world. I got such an amazing look into Korean culture and Korean society because of them and I'm really thankful that I could learn so much from them. This year is a different story. I love kids (and man, are they CUTE!!! ), but their English level and my Korean level are about the same, meaning it's pretty much as low as can be. I have one co-worker at my Mon/Wed/Fri school who can speak English. He is the third grade teacher, which means he is only in my class for third grade. The homeroom teachers come to the other classes with their students and while they can help control the students, they can't really communicate with me. When it comes to after school classes, I'm pretty much on my own. The homeroom teachers rarely come to those classes with the students, so I'm on my own to explain activities and manage behavior with students who can't understand what I'm saying. At my Thursday school no one really speaks English at all and the homeroom teachers don't come to any classes with the students. The only saving grace of these situations is that the classes are small so I can do a lot of managing of student behavior by walking around the classroom. I have to say that although I'm not crazy about elementary school, I am glad that I'm at least at these small schools because I can somewhat manage classes as well as give students A LOT of individual attention. I don't really know how NETs deal with elementary classes of 30 or more students. I've recently resumed my Korean studying in hopes that I will be able to improve my communication with my students and co-workers. 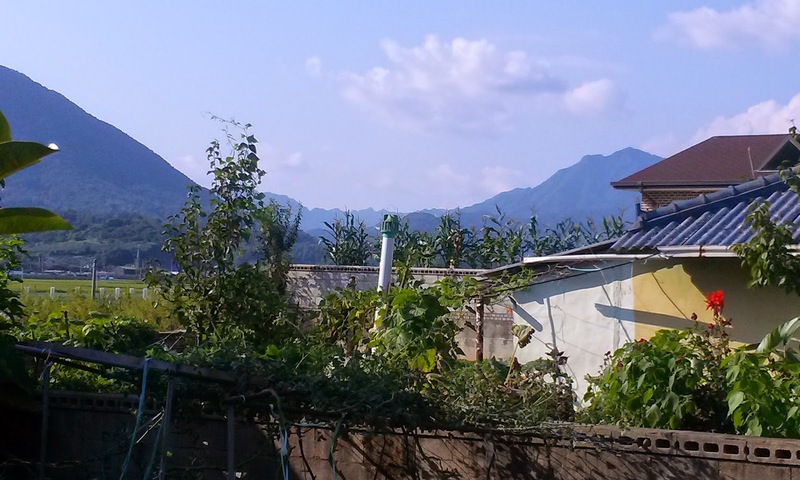 There are so many great things about this experience, but being the only foreigner in a school can be a really isolating experience at times. I experienced this feeling last year at well, but I felt much more connected, in large part because of my students and co-teachers in the English department. With that said, this year is going to give me a LOT more free time. Since I just teach the textbook at the elementary schools, planning is a lot more straightforward (even though between my schools I have 8 different textbooks!) This gives me a lot of time to do other things--like study Korean. I also want to emphasize that I really don't hate my new job. I still enjoy it, especially when I get to work with the students individually and can see the improvement in their reading and speaking. 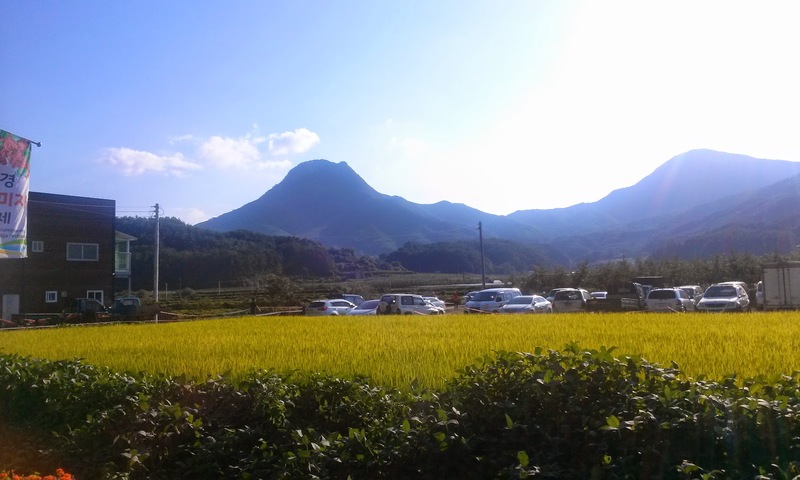 It's just not what I'm passionate about, which in some ways is a blessing I think because it can become easy to get comfortable in Korea and stay here for years and years. This job gives me an opportunity to travel and learn about Korea, but these change of work circumstances will also ensure that I keep thinking about the future and getting back to doing what I know I love.